Imagine a cloudy day in the tropics, with the dusk settling slowly into nighttime. This plus size tie dye shirt captures that breathtaking sky with splashes of fun colors. 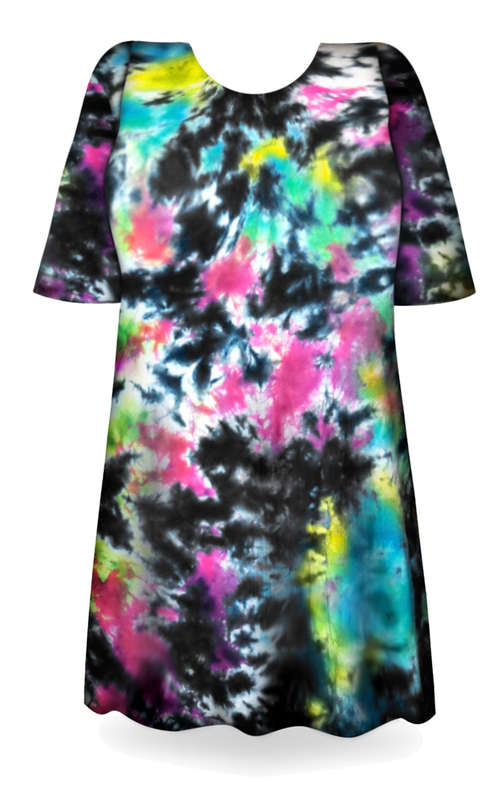 Make the memories last with this stunning tie dye t-shirt. These are handcrafted tie dye plus size t-shirts. Each shirt will be unique and different, no two are ever the same!